When the day finally came, it was February 2011 during the last big snow storm of the season. I knew that if I didn’t shoot that morning, I would probably have to wait another year to get a second chance. For once, I listened to my mother, and woke up extra early that morning to take these pictures in the freezing cold. This picture was one of the images I originally had in mind when I first decided to start my Senbazuru project in 2010. 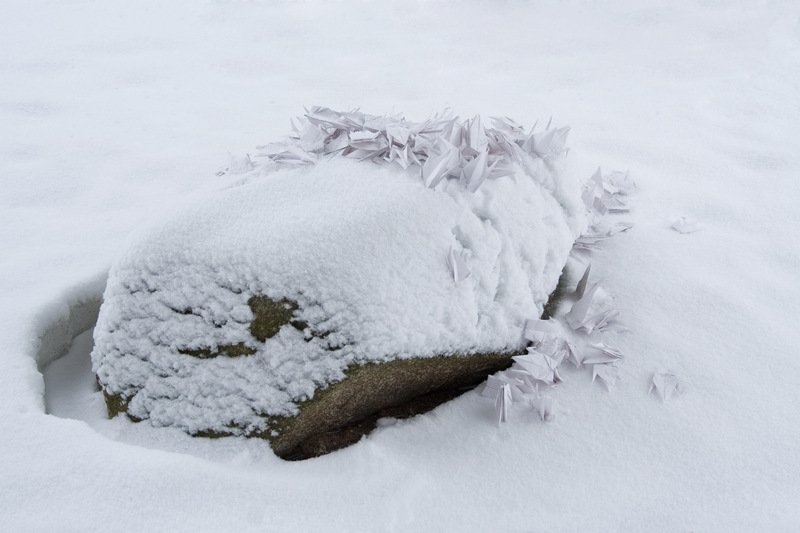 I wanted to blend the origami cranes into the snow, so that the rock looked like it is undergoing a transformation.